More affectionately known by fans as Aniki, meaning “big brother”, his Wikipedia entry was also translated into approximately 90 different languages, proving his position as an internationally acclaimed Japanese pop-icon and one of the world’s most famous Japanese personality. 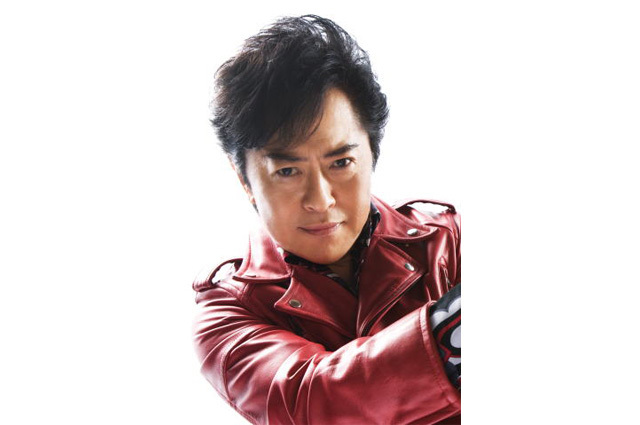 As an anisong pioneer, he debuted in 1968 and released his first anime theme song for Genshi Shonen Ryu in 1971. Other notable releases include Mazinger Z, Captain Harlock, as well as the big TV hit, Kamen Rider, from its initial series right up till now. In 1999, Aniki even made history by singing 1000 songs within 24 hours! He also collaborated with French DJ Dimitri in 2003 while being ordained the “Anime Song Ambassador” in Paris in 2007. Recently, Aniki performed at the 2010 Shanghai International Exhibition’s CoFesta. For over 40 years, Aniki has been raising the dreams and hopes of children with his charismatic singing. Today, he continues to pass on the magic of anisongs with his amazing passion and live performances all over the world. “Kamen Rider Stronger no Uta” (1975. Theme song of “Kamen Rider Stronger”).